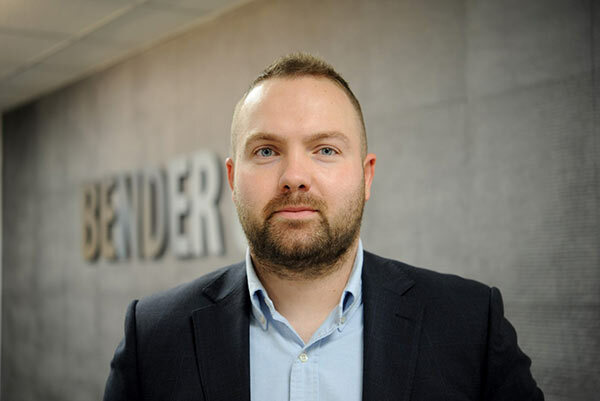 Bender UK has appointed Sam Parry as the company’s new Clinical Sales Consultant to support health trusts, hospitals and private medical facilities in the north of England and Wales, and in Scotland. Bender UK is the exclusive UK supplier of Merivaara Q-Flow LED surgical lights and a leading provider of hygienic touch screen theatre control panels, clinical pendants and turnkey theatre installations alongside the design, supply and installation of medical IT systems (IPS) and uninterruptible power supplies (UPS). Sam, aged 27, has worked for five years in the UK healthcare sector and has joined Bender having seen the growth of its business in operating theatre equipment and continuing leadership in the provision of power solutions for group 2 medical locations. Sam explained: “I am particularly looking forward to demonstrating the new Merivaara surgical lights. The Q-Flow™ lighting range offers the innovative Dynamic Obstacle Compensation™ system developed by Merivaara to minimise shadows in the light field. It reduces fatigue for the surgical team, and minimises risks for patients. Clinical staff cannot fail to be impressed by on-site demonstrations of the lights. Bender UK Managing Director Gareth Brunton says: “Sam has a wealth of knowledge and experience of the clinical healthcare market, borne out by some exceptional sales performances in the last five years. I am delighted that Sam has joined Bender UK and I am sure that his boundless enthusiasm and customer focus, backed by excellent product knowledge, will help to increase our revenue and presence with clinical stakeholders”. Sam will work alongside Steven Coleman who represents Bender UK as a Clinical Sales Consultant in the South and the Republic of Ireland. For more information on Bender UK go to www.bender-uk.com or contact Nicola Dawber, Sam Parry or Steve Coleman for a trial, demo or further information.